If you’ve packed your bike away for winter then you’ve been missing out. I can’t believe how mild it was throughout December, and we even had some kneedown-dry days on the run-up to Christmas, plus a few bonus dry days on the approach to 2016. The recently-fitted Metzeler M7-RR rubber (approx £230 mail order) on the GSX-S has been outstanding in the unseasonably mild conditions and has let me take real liberties, pushing the boundaries of grip. 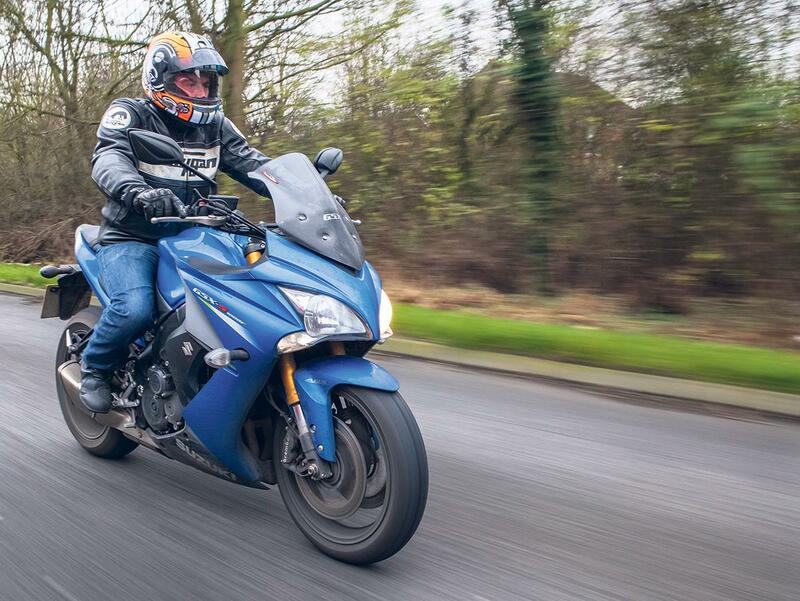 Thankfully the GSX-S1000F has excellent traction control as standard should I get a little carried away. The recent riding has been great fun, giving me the chance to play with the different levels of traction to see how much I can get away with. The Powerbronze double-bubble screen (£59) I fitted recently has made a big difference, too. I can now comfortably cruise at 90mph on my 90-mile each-way commute. Before fitting the screen, 85mph was the comfort limit. It only took an hour to fit the Powerbronze screen and I also think it looks much better than the standard item. The Gear Gremlin heated grips I’ve fitted are my bargain find of the year. At only £44.99 they have performed well above my expectations, getting hotter than a McDonald’s apple pie after being zapped in the microwave. Suzuki don’t actually list any heated grips for the GSX-S1000F, so there’s no option but to go for aftermarket ones. I’d highly recommend the Gear Gremlins, which are a bargain compared to manufacturers’ genuine heated grips that are usually around £250. The Suzuki is nearly ready for her 7500-mile service then fingers crossed the weather will hold through the rest of this month and next. If it does I might even sneak in a trackday or a short touring holiday! Trackdays and touring in winter? It could be on the cards!